I have been wearing two important "hats" in service of APCDA this past year. In addition to being President, I have also been the founding Editor of the Asia Pacific Career Development Journal (APCDJ). For this President’s column, I would like to give an important update regarding my role as Editor. APCDJ is an elemental component of APCDA as an organization. A peer-reviewed academic journal acts as an outlet for the knowledge creation and validation of our professional practice. It is the foundation from which our member support, constituent service, and practice development occurs. In this column I will make an important announcement before updating the journal’s status, strengths, and capacity challenges. Status Update: Each issue will have between 4-6 articles that have undergone a rigorous, blind peer-review process. Currently, the Editorial Board has selected 3 manuscripts for publication. These manuscripts are currently in the copy-editing stage. Three more manuscripts are still being processed after editorial changes have been recommended. Strengths: The Editorial Board is in place, large enough, and diverse in representation and experience. The on-line software system is working and appears to be a huge asset for managing the journal process. The initial slate of manuscripts is strong, representing key contributions to our field. Capacity Challenges: We experienced delays at the Editor stage compiling Review Board feedback and communicating effectively with authors. Initially, I identified two copy-editors for the journal but one had to drop out causing some delays at that stage. The initial slate of submissions was processed via email because the journal management software had not yet been selected; this caused delays and some confusion. Transparency is a hallmark of my responsibility to membership. There is no place for "cutting corners" in an academic journal therefore we must accept this short delay in our inaugural issue to ensure the highest standards in quality. The Editorial Board is serving in an exemplary capacity, the Editors are working each day to ensure the highest standards, and there is a plan in place for each of the capacity challenges. I look forward to presenting you an exemplary journal in September. The APCDA Conference in Beijing May 15 – 19 will have the largest attendance and the most presentations ever. Tsinghua University offers elegant facilities in the northeast corner of Beijing. The conference opens with a fascinating talk by Professor Hong Li on lessons Taoist philosophy can teach modern psychology. We then learn about Action from Dr. Richard Young and Hope from Dr. Norm Amundson. The variety and quality of breakout sessions is impressive. Check out our Program and see for yourself. The conference offers several special events. The 798 Art District Tour shows how governments can support art to create exciting opportunities for creativity. The Meet-up Dinner on Tuesday will provide an opportunity to get acquainted with other attendees. The reception on Wednesday will include Chinese folk music performed by Tsinghua students. On Saturday, we will visit the Forbidden City and Temple of Heaven to learn about Chinese history and historical art. We are grateful for the generous support of our hosts – Tsinghua University and the New Elite Development Program. In addition, many corporate sponsors will be present, including Kuder, Suzhou Success Partners, Career Thought Leaders, JobKred, IntoCareers, and the Career Development Network. As you make plans to visit Beijing, please read our Travel Tips. 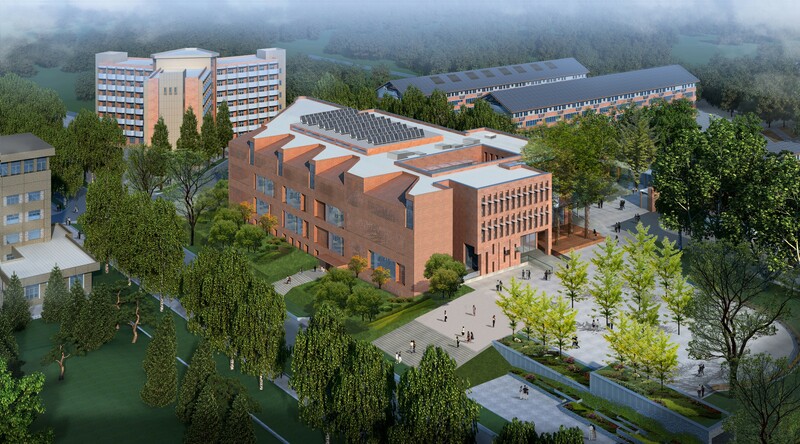 The Tsinghua Campus is large, and our conference will be in the Career Center building (see artist’s drawing at right). This building is marked on the campus map on the Travel Tips page. Also notice the gates, marked in black on that map. Taxis can only enter by the Main Gate, which is in the southeast corner of the map. The three changes below have been recommended by our APCDA Board of Directors at the recent February meeting (see minutes of that meeting). These proposed changes will be discussed at the Annual Member Meeting in Beijing. A proposed amendment may be presented at the Annual Meeting by the Board or by any member, provided that in the case of an individual the proposed amendment shall be presented over the signatures of at least 5 voting members of APCDA. All such proposed amendments shall be presented in writing to the Secretary of APCDA at least 30 days prior to the Annual Meeting. They shall be reviewed by the Bylaws and Policies Committee and emailed to the membership at least 15 days prior to the Annual Meeting. If you have an opinion on these issues, please visit our online member forum and place your comments there. Current: The term for Directors shall be one year. Each year, Directors may choose to continue in their position or to find a replacement. Proposed: The term for Directors shall be two years. Purpose of change: One year is too short a term for a Director. By the time they become familiar with the duties, the term is over. Part C specifies: "The Secretary, Treasurer, and Directors may not serve in their respective offices for more than two consecutive terms." Together, these two parts provide a reasonable length of time for a Director to serve, while encouraging rotation of Board positions so that others may become more involved in the governance of the association. Country Directors shall be nominated by members within a country, then submitted to the President for approval. Purpose of change: Currently, Directors are not elected. The bylaws do not specify how Directors will be selected. Currently, openings are announced and nominations or volunteers are solicited. The approval of the recommendations must be made either by the Officers or the President. Given that the responsibility for the selection resides with the group affected (for Committee Directors, this would be people active on a committee; for Country Directors, this would be members residing in the country), the appointment is a formality which would normally reside with the President. Change the word "Country" to "Country/Region" throughout the bylaws. Purpose of change: The purpose of this change it to deal with the current situation, where we have several Directors for regions within China. It could be useful in the future for other large countries where increasing the number of Directors facilitates representation for more groups of people within a country. The National Career Development Association (NCDA) Conference will be held June 21-23 in Phoenix, AZ (https://ncda.org/aws/NCDA/pt/sp/conference_home). Please arrange your travel so that you can attend the International Reception at 7PM on Wednesday, June 20, and the APCDA Constituency Meeting at 10:15 on Thursday, June 21. More details will be provided in the next newsletter about presentations of special interest to APCDA members. The NCDA Credentialing Commission (https://ncda.org/aws/NCDA/pt/sp/credentialing) has been making great progress in defining credentials for our field. 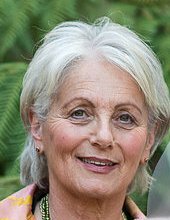 Dr. Constance Pritchard, Chair of the Commission, will attend the APCDA Conference in Beijing and talk about their work. The Society of Vocational Psychology (SVP) Conference will be held in Scottsdale, AZ, which is very near Phoenix, on June 19 -20 (https://www.div17svp.org/2018conference). If you plan to attend NCDA, you may also want to consider attending the SVP Conference. Coalition of Career Development (http://globalpathwaysinstitute.org/coalition-career-development/) held a National Convening in February to highlight the importance of career preparation for youth and to discuss the most effective ways to import career planning and training in the USA. The Center on Education and the Workforce conducts research to facilitate aligning education and training with workforce and labor market demand. These research reports are available on their website (https://cew.georgetown.edu/publications/reports/). An interesting survey has recently been completed by Gallup on Where Students Get Valued Advice on What to Study in College. You can view the discussion of the results on YouTube at https://www.youtube.com/watch?v=n-GFx2eZkUM. The 2018 CANNEXUS conference ran from January 22-24, 2018 and saw a record number of practitioners, researchers, and policy-makers attend to learn more about career development skills and strategies required for success in the workforce. This annual conference provides an opportunity for career development related professionals to gather and discuss latest trends in policy, research, and practice. At this year’s conference, keynote speakers included Chantal Hébert (on engaging youth in politics), Dr Spencer Niles (on nourishing our souls at work) and Zarqa Nawaz (on her career journey as a Muslim comedy writer). Interested readers can find out more about the 2018 conference (including highlights and resources from presentations). A bit over a year ago the Assistant Minister for Vocational Education and Skills started a national conversation on preparing students for life beyond the classroom. Educators, parents, government, industry and career representatives held a roundtable discussion on the development of a new National Career Education Strategy. CDAA was also part of this roundtable working group which produced recommendations to the Commonwealth Department of Education regarding the development of this National Career Education Strategy. Continuing the Government’s focus on career education in schools, the Career education self-assessment tool for schools was also launched. Developed by the Australian Government with support from the Career Industry Council of Australia (CICA), the new online tool is to assist schools to evaluate and improve their career education strategies towards creating a highly skilled 21st century workforce. It adds to a suite of resources developed with government support to implement the Preparing secondary students for work framework. Early this year the national 2017 Employer Satisfaction Survey got published, where more than 4000 employers across Australia outline employer impressions of the skills and knowledge of our higher education graduates. The Minister for Education and Training said the 2017 Employer Satisfaction Survey results were encouraging but also reinforce the need to ensure that higher education institutions are focused on the work readiness of graduates and place student outcomes at the forefront of their considerations to meet the needs of the economy, employers and ultimately, boost the employment prospects of graduates. The survey highlighted satisfaction levels for vocationally oriented courses, such as engineering and health. Satisfaction levels for vocationally-oriented courses were almost 10 per cent higher than from generalist courses such as management and commerce. 93% satisfaction with foundation skills – general literacy, numeracy and communication skills and the ability to investigate and integrate knowledge. 90% satisfaction with adaptive skills – the ability to adapt and apply skills/knowledge and work independently. 86% satisfaction with collaborative skills – teamwork and interpersonal skills. 93% satisfaction with technical skills – application of professional and technical knowledge and standards. 85% satisfaction with employability skills – the ability to perform and innovate in the workplace. Overall, the 2017 Employer Satisfaction Survey results suggest employers remain highly satisfied with graduates from Australia’s higher education system. The employer satisfaction survey is a key part of the Federal Government’s drive to ensure greater transparency in the information students can access to make informed decisions about what and where to study. Students are also able to compare satisfaction rates across a broader range of Australian higher education institutions and also how courses are viewed by employers. The evidence base for career websites. What works? The 2018 Excellence Awards Program has been launched. Discussions were held with both SEEK and LinkedIn regarding CDAA support for their career services programs. The Australian Career Practitioner journal (ACP) has been moved to a digital platform. For the first time, the 2018 Annual General Meeting was held via Zoom web conferencing, to ensure members can attend from across the country and help shape the future of the association. Lifology is the study of the influence of profession in human life. It asserts that profession is not simply a means of life, but very significant segment of life itself. In this world, there are many people who feel a vacuum towards the end of their lives when they revisit the years spent living. They feel their lives were "hardly fulfilling". They might have been engaged in different professions, tasks, studies, organizations, families, social setup etc. during their early years, but none of these would have conferred on them the real spirit of life. Many people are confused about the answer to the existential question "Why have I lived in this world? More often than not, another question that troubles them is "Why do I exist?" It is really sad that a person has to face the end of his precious life with such pain. Please stop reading for a while and contemplate the following scenario: If today is the last day of your life, "would you be able to bid adieu with a fulfilled heart"? Now you may continue reading. The answer you received from your inner mind would have shed light on the importance of being fulfilled during the last days of your life. It is important to reach this level of fulfillment at every point in life. It is equally important to help everyone around us attain this level where they too feel "fulfilled" in life. It would be a bit tough to help the older generations in this aspect due to multiple but obvious reasons. However, with intensive efforts, it is possible to make sure that no youngster in the present world will feel unfulfilled when they reach the dusk of life. The concept of Lifology is an attempt to make a move towards carrying out this challenging mission, to facilitate access for every person in the world towards self-awareness through lifometric assessments, access to labor market information, Lifology coaching, lifo-mentoring and life-ware lessons from the experts. This access and experience would lead every person to a meaningful life and the experience Pleasure, Power and Purpose throughout their lives in its real spirit, as opined by Sigmund Freud, Alfred Adler and Viktor E. Frankel, respectively. A recent analysis suggests that the average life expectancy for human beings on Earth is 72 years. Let’s assume that many people would be fortunate enough to cross this number and live up to the age of 80 years. Most of the days, on an average, they sleep for 6 hours, carry out routine activities for 2.5 - 3 hours, travel for 1.5 - 2 hours, involve in professional terrain (school/college/office) for 8 hours, engage in media and entertainment for 1.5 - 2.5 hours and pack the rest of their activities in the remaining 3 - 4 hours. In total, out of a life span of 80 years, around 25% of the time is spent sleeping, 30% of the time is engaged in professional activities, 25% of the time is occupied with routine work, travel, media and entertainment and another 20% for the remaining activities. According to the above calculation, "professional time" plays a very integral role in life as it is the only independent segment in life and the one where we spend the longest time doing. More than the time spent on sleep and every other independent activity, we spend our time for professional purposes. Moreover, it is what we do during the professional segment that shapes our identity as well as image in the world. It is our contribution in this segment that chiefly makes our mark in this world. Whether it is Barack Obama, Dr. A. P. J. Abdul Kalam, Sachin Tendulkar, Sreenivasa Ramanujan or Bill Gates, we know them for what they have done/are doing in their professional segments of life. They are what they are depending on what they do. Thus, it is notable that the professional segment plays the major role in the life of a person to decide whether a life is fulfilled or not, meaningful or not. To explain explicitly, if a person can feel Pleasure, Power and Purpose during this 33% time of life, they would be able to extend to the rest of the segments as well. This tempts us to underline that the professional sphere is the most important aspect of life. It is also articulated that this 33% period is an integral timeframe that decides how successful we feel at the dusk of life. This increasingly convinces Lifology to anchor its activities by keeping professional segment as the center of human life, rather than considering it merely as a means of life. Our close observation and in-depth analysis on this concept reveals that 3 critical factors are indeed important to help people move forward in professional sphere. Deeper reflection into the self and the world around. Systematic support from a coach/guru in selecting and pursuing a profession. Fundamental grounding on the philosophical paradigms of life. Every concept in Lifology would be grounded on the above 3 factors, which will support people to move forward in life and find meaning in all their functional areas. Each of these factors can be explained. 1. Deeper reflection into the self and the world around. Various lifometric tools, intense workshops such as "re-invention" and thought-provoking videos/essays to help people introspect well and understand the nuances of the self would be used to support the process of self-reflection. A systematically crafted process of self-analysis would also be devised to make this process more scientific and solid. This effort would be accompanied by a series of studies, processed industry-labor market data, videos, interviews, podcasts etc. to provide accurate insights into the world around. These two processes, in combination, would help a person gain maximum insights on life and thereby make appropriate decisions in augmenting their professional spheres. 2. Systematic support from a coach/guru in selecting and pursuing a profession. Sachin, Federer and Messi are world-class players. Even though they are irreplaceable and incomparable in their own fields of expertise, they have coaches who catalyzed their growth. Coach, a wise sensible person with intense interest to support others, is indeed important for everyone to reach their potential and grow well in a profession. They may not be into teaching or training, but they guide by following internationally acclaimed processes of coaching. Access to such a coach will considerably change the flair and color of life. In Lifology, we field a huge pool of Lifologists, who can support people with scientific coaching. 3. Fundamental grounding on the philosophical paradigms of life. The clarity on the philosophical aspects of life and profession provides people with enhanced knowledge of the process of living. It is important to have a clear understanding about "why do we work", "how to treat other people in the community", "pattern of behavior", "attitude towards money" etc. in a much deeper sense. This would help us to be more rooted in life, which will make the journey ahead more meaningful. However, at present, the majority of people lack clarity on such thoughts even at the basic level. One of the major concerns Lifology attempts to address is to minimize this awareness gap by grounding people more into the philosophical paradigms of life. Lifology.com is an attempt to implement the concepts, ideas and theories in Lifology into practice. The digital platform helps people, especially children between the age of 13 and 17 years, to know more about themselves, be aware of the world around, receive support from lifologists, learn life-ware (the fundamental life skills) and move forward towards fulfilment. We, as the founders of Lifology and Lifology.com, believe this intervention will make significant changes in the way people consider career and pursue profession. We invite you to reveiw our website and look forward to hearing from and working with you. 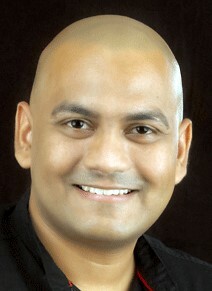 Praveen Parameswar is the CEO of Lifology.com, a sophisticated growth ecosystem for children powered with technology and human factors. He is a passionate entrepreneur who cherishes a vision to create a world where every child is led towards a meaningful future. Before venturing into Lifology.com, he was heading Thoughts Academy Plc, a pioneer in Organization Development Interventions across South India. Mr. Parameswar is a TEDx speaker, educated at the London School of Economics, holds a MBA from the University of Cardiff (UK), and is a Sir Julian Hodge Prize winner for the best performance in Human Resource Management. The International Certified Career Coach training program was initiated by the Mindler, India and Career Development Alliance, USA to create certified career coaches in India. Mindler is the world’s most advanced career guidance platform. A technology-enabled ecosystem for career planning, Mindler leverages technology, research, machine learning and algorithms to enable students to discover their unique potential. Mindler’s award-winning career guidance framework and assessment tool have been developed by a team of some of the top psychometricians, industry experts and researchers in the world. It is the most accurate and valid career assessment, with a blend of advanced technology and millions of research data points collected from students from multiple demographics and cultures. An example of Program Duration across 3 months is on the right. The training was launched on the 23rd February, 2018 at Park Hotel, New Delhi with three full days of face-to-face interaction. Forty participants attended the training. These participants were from various senior level schools, colleges and universities across India. Apart from the participants from India, there were participants from UAE and Oman. The mix of the participant cohort is on the left. The program was inaugurated by the UNDP Chief – Clement Chauvet, who talked about the need for creating Certified Career Coaches in India. Speakers were experts from India and abroad to provide their expertise in various domains. Every participant will be in constant touch with the national and international experts and various reading materials will be shared with them to stimulate their learning and competencies of a career coach. The experience of the first leg of the 3-day event was enlightening and enriching for the participants. 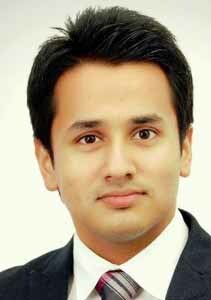 Prateek Bhargava is CEO of Mindler and holds a double MBA from Indian School of Business, Hyderabad and Management Development Institute Gurgaon. He holds a specialization in the field of Strategy & Leadership, Human Resource Management and Finance. He has more than 7 years of experience spanning domains such as Strategy Consulting, Corporate Strategy and Entrepreneurship. 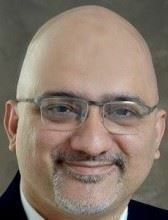 He has worked with organizations such as Accenture Strategy (Largest Consulting Firm in the World), Maruti Suzuki (Largest Passenger Car Manufacturer in India) and Taxmann Publications (Largest Taxation and Legal Publisher in India). Why is Career Education Important? Goal 4: Ensure inclusive & equitable quality education & promote lifelong learning opportunities for all. Goal 16: Promote peaceful and inclusive societies for sustainable development, provide access to justice for all, and build effective accountable and inclusive institutions at all levels. How do we implement career education? Research studies have shown that the best ages for career transformation are early ages therefore career education programs are executed at schools and colleges. As career education is emerging in the South Asian region it is imperative that we first develop career practitioners that can facilitate career education programs for youth at their respective educational institutions. Who are we providing career education to? We are providing career education to students, teachers and parents of grades 8-12 in helping them identify careers and vocations as per their interest, aptitude, attitude and temperament. Once the student discovers their career potential and arrives at a university, we work on their employability skills in helping them get a job. If the graduate wants to become an entrepreneur, we help them with idea generation and advocating their idea(s) at premier forums. For more than a decade, Pathway Global Career Institute, led by Mr. Raza Abbas, has earned credibility for executing diverse career reform programs. Currently the institute is implementing multiple programs in Pakistan. These programs are replicable and can be customized for countries across the globe. Information about two of the programs follow. For further information please email the author: razaabbas.hr@gmail.com. The Hope-Centered Workshop is an integrative, evidenced-based approach to conceptualizing, assessing, and building hope that can be used across cultures and spiritual belief systems. It is based on the scholarly work of Dr. Scioli and customization by Mr. Raza Abbas. The workshops develop a hope and positive mind-set amongst students and teachers. The workshops are a "whole-brain" approach; combining cognitive behavioral exercises with philosophical reflections and meditative-hypnotic exercises. According to the often-quoted Oxford University study in 2013, as many as 47 percent of all jobs are likely to be eliminated by technology within the next 20 years. That’s nearly half of all workers out of a job. "No government is prepared," The Economist reports. Automation could destroy as many as 73 million U.S. jobs by 2030, but economic growth, rising productivity and other forces could more than offset the losses, according to a new report by McKinsey Global Institute in December 2017. For volatility, the challenge is unexpected or unstable, and may be of unknown duration. You need to build in slack and devote resources to preparedness for the long haul. For uncertainty, the event’s basic cause and effect are known, and change is possible but not a given. You need to invest in information ie. to collect, interpret and share it to reduce uncertainty. For complexity, the situation has many interconnected parts and variables. You need to restructure and build up resources, including specialists, to address the complexity. Lastly, for ambiguity, causal relationships are completely unclear and you face "unknown unknowns". You need to experiment to better understand the cause and effect so that lessons learnt can be shared to reduce ambiguity. These ideas are fine for organizations with significant resources but for an individual struggling to survive in a VUCA world, how do you make VUCA work for you? V for Vision. If you have no clue where you are going, you will end up nowhere. Regardless of how VUCA the environment is out there, you must know where you want to go. Having a vision is important. It is like a compass, always keeping you focused and steadfast on the bigger goal, despite the daily grind and distractions of life. How do you find your vision? It goes back to your values, or what matters most to you. This would usually make your vision more sustainable. U is for Understanding the environment. For an individual, this would be your industry or organization ecosystem. The players are all people. Don’t spend too much time on the official organization chart because things often get done by those who are not "official". Instead, go speak with people in the ecosystem and find out who the real movers and shakers are, beyond the media headlines. Nothing beats talking to people face to face, because you cannot feel the intensity of the look in the eye or experience resilience via social media. Learn from those who have been there, done that. C is Clarity of path. Now that you know your destination and the operating environment, it is time to plot your route of advance. This is like your road map, without which you could be distracted or lost. A good example is new year resolutions. Whatever the resolution, be it to lose weight (21.4% of the population), self-improvement (12.3%) or better financial decision (8.5%), most don’t last beyond 6 months. Why? Because there is no plan, no accountability partner and no consequence. When there is no plan, it is easy to be distracted by the many urgent things around you when you hit a roadblock. When there is no accountability partner, you have no one to encourage or nudge you when the going gets tough. It is so easy to just cruise along. And when there is no consequence to non-achievement, the path of least resistance is the default route. You will go right back into your comfort zone with all the reasons on "why you did not do it" and no results. A is to take massive Action to achieve your Vision. A plan is just a plan. It will not miraculously produce results until you take massive action to turn your plan into results. Action is often the missing piece between a plan and results. And massive action is the difference between a 1X result and a 10X result, both in magnitude and speed. D is to Disrupt yourself. If you do what you have always done, you will always get what you have always gotten. A variation of this is called insanity, where you hope to get different results by doing the same thing. The final way to VUCAD your way to success is to Disrupt your status quo, by doing things differently. If you don’t like to be "disruptive" (because of its negative connotation until you make it big), then choose to be a game changer. In essence, change your habits and change your life, for good. Real competence takes time to develop, so choose a competence that is aligned with your strengths and ideally, a strong market demand. If your competence has limited market value, then you will have a hard time leveraging it for your career. Welcome to the real world. Capital goes where business is. Business is nothing more than an exchange of mutually beneficial interests. No matter how VUCA or disruptive the world may become, some things never change. Businesses will always want more sales, more profits, and bigger market share. Understand this, VUCAD it and you will thrive in any economy. Please share this VUCAD way with whomever you think can benefit and pay it forward. Thanks! 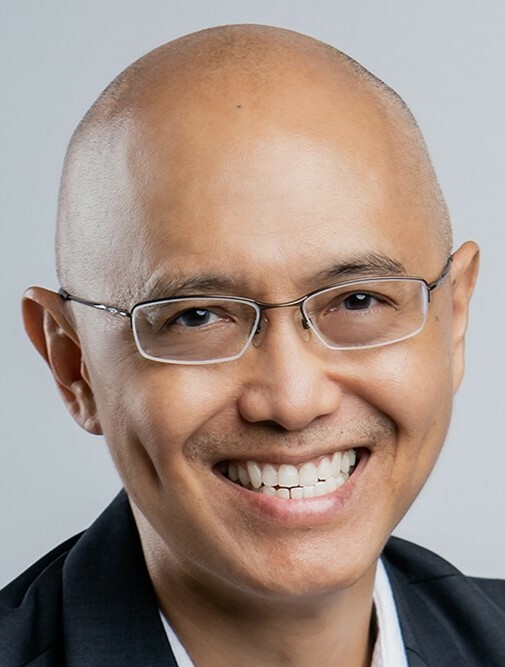 Han Kok Kwang is an award winning professional, successful serial author, and founder of Personal Mastery Resources, a niche training business that helps companies profit from their talents. 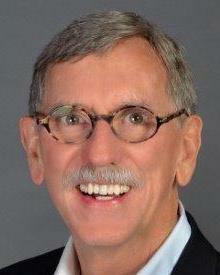 He is also a master trainer for the US Global Career Development Facilitator (GCDF) credential. With over 25 years of professional experience, Han has empowered more than 50,000 individuals of 21 nationalities in their career success through his books, seminars and workshops. If you want or your organization wants to profit from your talents, simply drop Han an email at Han@personalmaster.com.